Christiane Kubrick was born in Germany in 1932 into a theatrical family. She initially trained as a dancer and actress but always had ambitions to be a painter. Her career in performing led her to be cast in the film “Paths of Glory” where she met her future husband, Stanley Kubrick. Before moving to England in the late sixties, the Kubrick family spent time in America and Christiane embarked on her new career as a painter, studying art in California and New York. 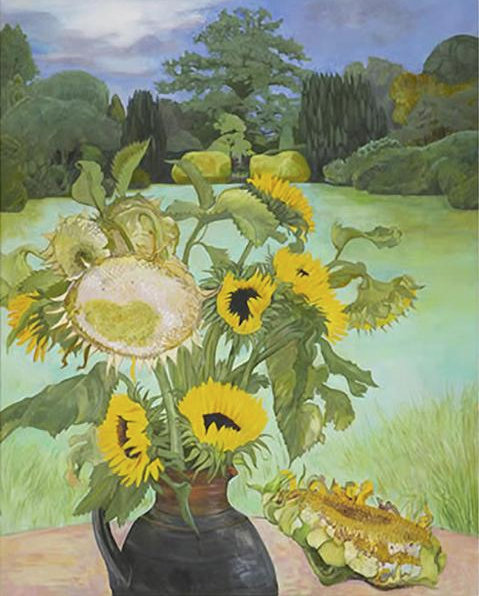 International success followed with exhibitions in New York, Rome and London and later in her career, when Christiane and her family finally settled in Hertfordshire, the joy of bringing art to people was opened up to her when she exhibited at “Art in Action” at Waterperry, Oxfordshire. The spirit of artists working and demonstrating their techniques, interacting with people and sharing their art without barriers appealed to Christiane and she was soon taking part in “Open Studios” where visitors were able to see her at work in her own environment. A natural progression from “Open Studios” was for Christiane to utilise the beautiful grounds of the Childwickbury estate, where she moved to with Stanley in 1978, and to create her own arts fair. In the summer of 2003 the first “Childwickbury Arts Fair” was held and was an instant success. The fair has grown steadily over the years and represents everything that is important to Christiane about art, music and the act of involving people in the creative process. The Summer Arts fair is now in its fifteenth year and the Christmas Market celebrates ten years!